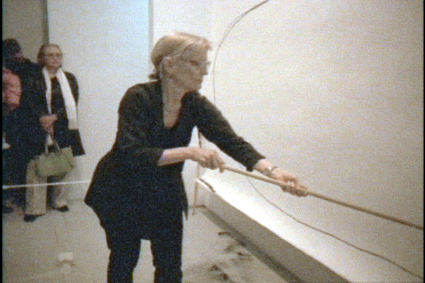 Joan Jonas and Jeff Preiss, Montage Verite at TRANS>area, New York, 2002, Courtesy of the Artists. Coordinated in conjunction with TRANS>AREA, New York, Sandra Antelo Suarez. Craig Robins & Rosa and Carlos de la Cruz.